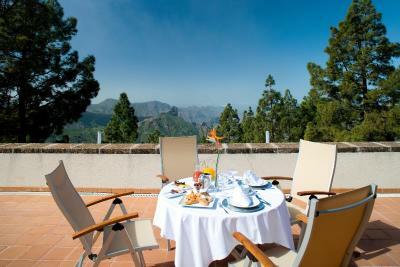 Lock in a great price for Parador de Cruz de Tejeda – rated 8.7 by recent guests! 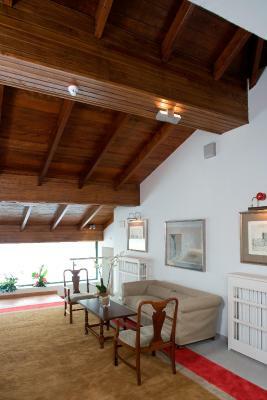 Incredible location above the clouds with great views and beautiful, well-maintained building. 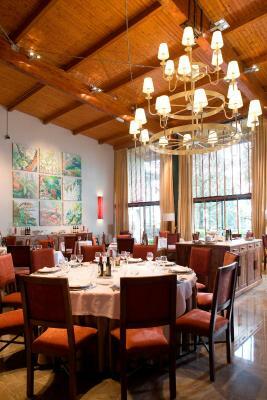 Wonderful evening menu and service in lounge and restaurant, very helpful staff provided information on local hiking. We had a really great stay at the hotel for 5 days. The swimming pool and spa were great, It is worth staying four nights to get free access to them. The food at the restaurant was really lovely and good value for money, we ate dinner there twice, the breakfast buffet was also really good. We had a room on the second floor which was amazing, we had a great view from our balcony! Amazing location, wonderful setting, nicely laid out and great Spa. Shame ti wasn't included but the dinner and Spa option for euro38 each was fine. Food was excellent. Not sure about the bad reviews on the food it was great. fantastic view on the Tejeda Caldera from our room in the hotel. We planned a hikking holiday and for most of itineraries of the "Rother Wanderführer" the Prador is an excellent starting point. After a long hike relaxing in the the wellness area is most welcome. location and breakfast were the best things about staying here - but it was all very enjoyable and easy. 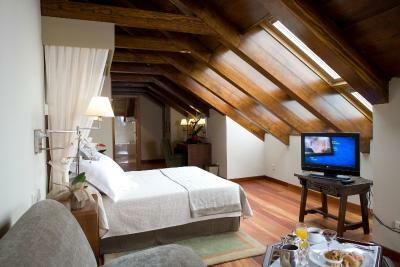 The location is simply fabulous, with a breathtaking view of the mountains from a large terrace accompanying the room. The room itself is large and very clean. The staff is very kind. Breakfast is all right. Location was nice. Breakfast was good, with a good variety of foods. The view is spectacular. 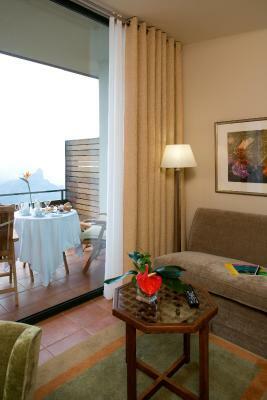 The superior rooms look straight down the valley and permit views of the other canary isles on a clear day. The infinity in the pool in the spa is magical. The food in the restaurant is exquisite. Nice room with balcony and view on mountains. 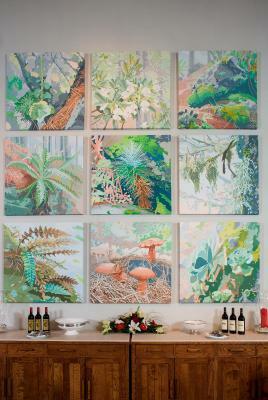 Restaurant with good food at reasonable prices. Very good location for hiking in the area. Fantastic location, great facilities! Wonderful spa and pool and very good massages. The staff were excellent with a friendly attitude. 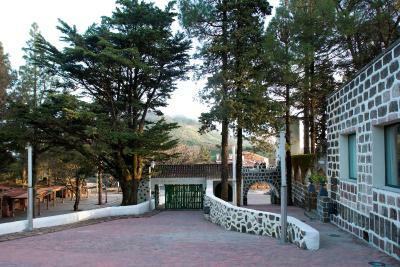 Parador de Cruz de Tejeda This rating is a reflection of how the property compares to the industry standard when it comes to price, facilities and services available. It's based on a self-evaluation by the property. Use this rating to help choose your stay! 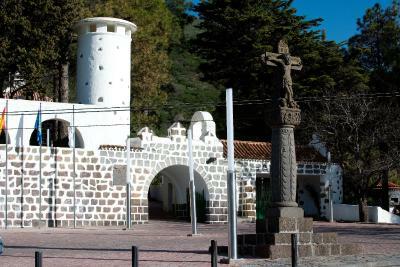 Surrounded by mountains and forests, the Parador is 5.6 mi from the town of Tejeda. 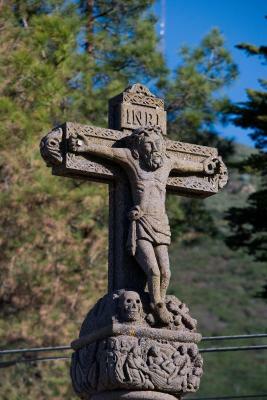 The city of Las Palmas is 22 mi away and the beaches of Playa del Inglés are 28 mi away. There is free private parking at the hotel. Rooms at Cruz de Tejeda are uniquely decorated and have lots of natural light. 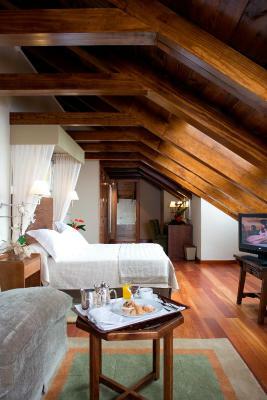 Rooms are air-conditioned and include a mini-bar and satellite TV. 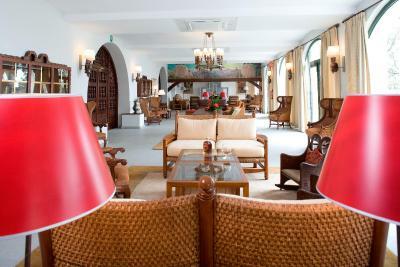 Stays of 4 nights or more include free spa access. 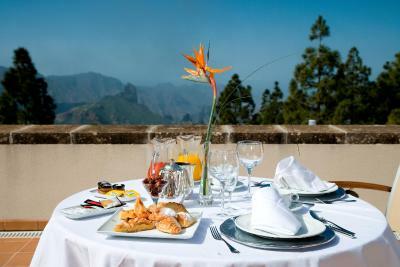 The Parador serves traditional Canarian cuisine in its elegant restaurant. Local specialties include roast goat, watercress stew and mojo garlic sauce. 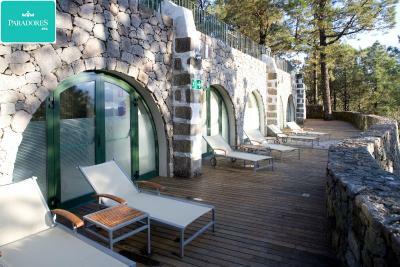 The Parador Cruz de Tejeda's spa offers a wide range of treatments including volcanic rock treatment, seaweed wraps and honey baths. 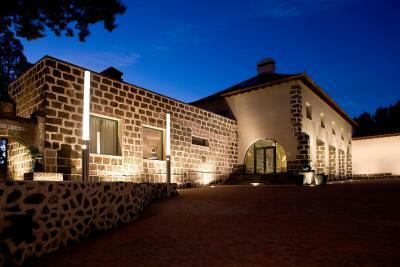 When would you like to stay at Parador de Cruz de Tejeda? This bright, spacious room has a private balcony. 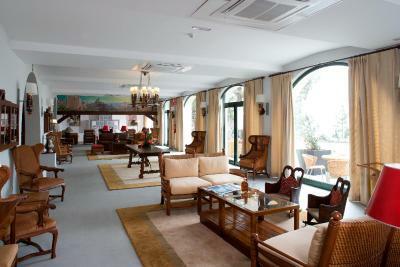 It is air-conditioned, and includes free wired internet access, a minibar and satellite TV. This twin/double room features a satellite TV and air conditioning. 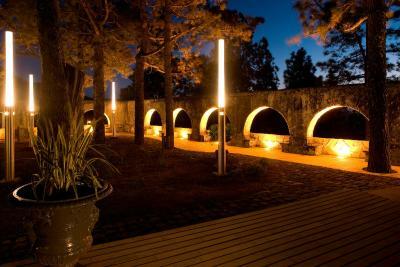 The hotel is located 35 kilometers from Gran Canaria, surrounded by nature at more than 1,500 meters above sea level, where the majority of the ancient king's highways continue to bear witness to the footprints left by hikers. Rooms offer views of the immense caldera that emerges in all its glory, carved out by water and sunken by volcanoes. 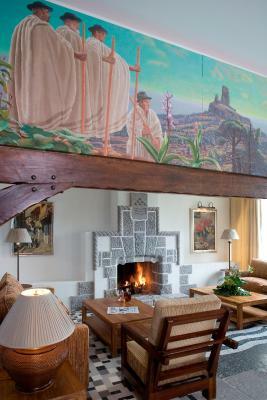 House Rules Parador de Cruz de Tejeda takes special requests – add in the next step! 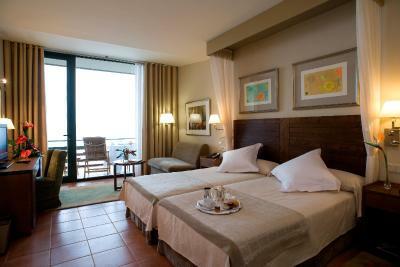 Any additional older children or adults are charged EUR 56 per night for extra beds. Parador de Cruz de Tejeda accepts these cards and reserves the right to temporarily hold an amount prior to arrival. 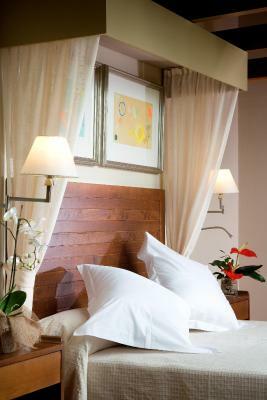 Stays of 4 nights or more include a free 90-minute spa access. Please note that children 14 years and younger are allowed in the spa during the first 2 hours of opening, always when accompanied by an adult. Please check SPA prices, conditions, and opening times with the hotel. Charges for extra children and adults do not include meals. Pets are allowed upon previous request. For more information and the full conditions, please contact the hotel directly. Please note the nonrefundable published rates for December 31st include a dinner on December 30, a gala dinner on December 31, party bag, open bar, and dance. Dinner for January 1 is not included in the rate. Please note the published rates for December 24th include a gala dinner. There were few options within walking distance as an alternative to the hotel restaurant for dinner. Tejeda is only a 10 minute drive from the hotel so there are plenty of other restaurants if you’re happy to drive and not drink. 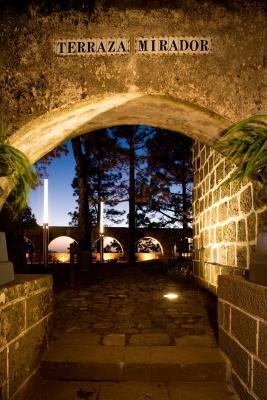 We could only stay five nights and had to leave for the weekend, as the parador was already fully booked for the weekend two months in advance. Book well on time for your weekend stays, as most other hotels in the centre of the island were also fully booked for the weekends end of February. 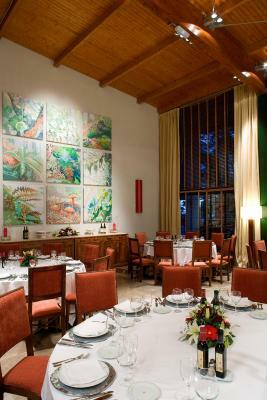 The restaurant dinner menu could be more varied throughout the week. Information on local walks and facilities could be more easily accessible. Windy roads particularly going south was laborious! The bed was a bit uncomfortable. The hotel had everything except soul. Not welcoming, no friendly atmosphere. The location was fantastic, the views incredible. Reception staff were most unwelcoming and confrontational. I was not aware that I needed identification to register and had not brought any with me, the staff made a big deal about it and were most unpleasant. I booked for two single beds in my room, they gave me a double bed. When I insisted on having it changed they made a big deal about that, they were arrogant and treated me very badly. I was very unimpressed. They totally disrespected my request per my booking instructions. Breakfast was good, beautiful setting. Hair dryer in bathroom was broke, and the shower didn't work properly. Restaurant food was average, although service was very good. Amazing location and views from all rooms. The price for food was higher than other locations on the island. Also it would have been nice if there was a daily special option on the dinner menu.